Ok all you local lovelies! If you are at all interested in trying Dysport, now is the time! Until the end of June, The Spa at NIMA is offering $200 OFF for both you and a friend!! So grab a girlfriend and get over there for a fun Girls' Day Spa Day!! 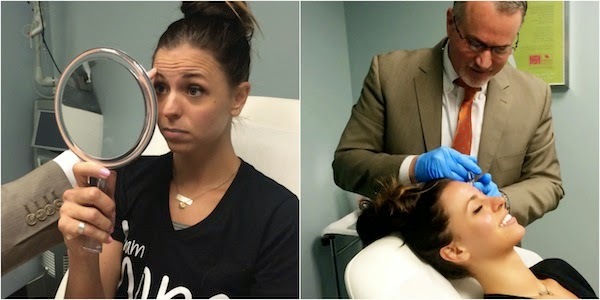 I had my very first treatment with NIMA and Dr. Ayers and have been so happy with the results! I only had my forehead and "furrowed brow" treated but I love that I most definitely don't feel like I had "work done" but that I just had a few wrinkles smoothed! At this point it's more of a preventative treatment than anything but I've absolutely loved it!